Because it’s payday and you deserve it. It’s the end of Sneaker Week here at Coveteur, and we hope that you’ve enjoyed the plethora of crazy closets and spectacular shoes as much as we did exploring them. While we’d love to score access to the $20 million worth of sneakers hidden in the basement of Stadium Goods, we’ll settle for steadily growing our personal collections with a few new pairs for spring. Whether you’ve embraced the “dad sneaker” or are partial to a slim-fit high top (we adore both, so no judgment), here are 21 pairs we’re adding to our carts this week. 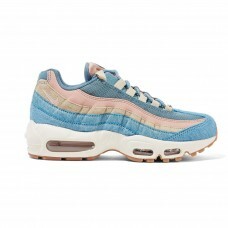 Nike Air Max 95 Calf Hair, Suede and Mesh Sneakers: These Nikes are selling out alarmingly fast, and I can see why—the pastel colorway and throwback shape are everything I want to wear with cropped jeans, leather trousers, and flowy floral dresses this season. In fact, I’ll take a pair in every color, please and thank you. 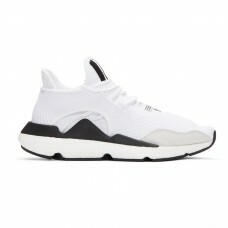 Y-3 White Saikou PK Sneakers: Knit sneakers are the *comfiest*, but they don’t always read the most high-fashion IMO. Enter Y-3 to prove me wrong. I’m obsessed with the suede trim and striped tongue, and I’ll never feel bad about adding yet another white sneaker to my collection. 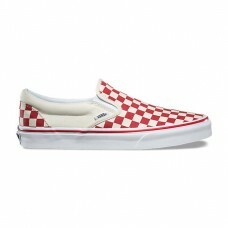 Vans Primary Check Slip-On: I’ll always return to Vans when I feel like channeling my favorite ’70s skater vibes, and I’m so happy to see the classic check making a comeback. I’m partial to the red, especially paired with some extra soft vintage cutoffs and a slight suntan. 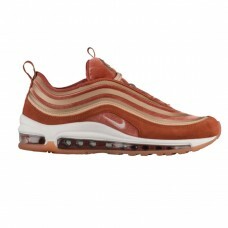 Nike Air Max 97 LX Ultra ’17 in Dusty Peach: I have yet to get my hands on a pair of the most hyped-up style of Air Max yet, the 97, but when I do, you can bet it’s going to be in this orang-y, peachy colorway. It may not really go with many outfits, but I’d rather build a look around the pair themselves—because, practicality, you know? Adidas Original Prophere Sneakers: The extent of my athleticism is me going to yoga every Thursday at 8:00 AM and pretending that stretching counts as cardio. But no one has to know that—that’s why I’ll fool them with this extremely cool pair of futuristic, slightly chunky kicks. 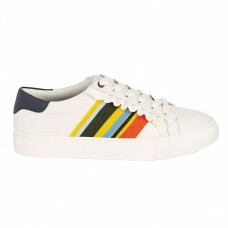 Ganni Black Harrier Sneakers: Dramatic? Yes. Hyperbeast-worthy? Also yes. Feminine and unforgettable? Yes, yes, yes. A perfect pair of sneakers, in my book. Nike Air Jordan 1: I don’t own a pair of Jordans, which is criminal given that I grew up in Chapel Hill, where MJ first became a star (go Tar Heels!). I’ve been praying that there’ll be another drop of the Off-White x Nike style, but until then, this great green pair will do. Converse Chuck Taylor All-Star Canvas Lift: I have these in black and practically live in them. The platform makes an already cool classic even better. I think I need to get a collection going. MM6 Maison Martin Margiela Colorblock Platform High-Top Sneaker: A platform and a high top? By Margiela? Yes, please! Greats The Royale Perforated Blanco Sneakers: Despite being 5'10", I will never pass up the opportunity for a little extra height. These simple flatform sneakers from Greats, I can tell, will be my new summer shoes. 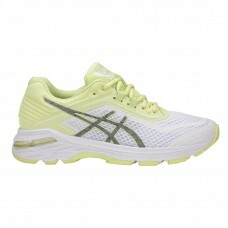 APL: Athletic Propulsion Labs TechLoom Phantom Sneakers: If you know me, you know I love trying every and any workout. However, to everyone’s surprise, my athleisure shoe department is lacking a bit. After falling in love with my first pair of APLs, I know that these babies may be next on my list, just in time for summer. Madewell x Veja™ Esplar Low Sneakers in Embroidered Stars: After writing up on Veja last year, I’ve been determined to finally get a pair—these may just be them. 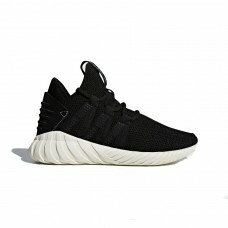 Adidas Tubular Dawn: Aside from the requisite white sneaker, a black-and-white pair, to me, is hands-down a must-own essential. There is something that I particularly love about the fat sole of the Tubular. Adding to my current rotation now! 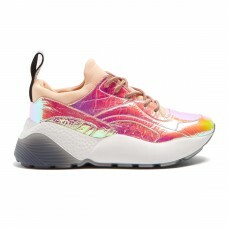 Stella McCartney Eclypse Trainers: While I can get wild with my shoe selection, my sneakers have been compariably demure and made up of mostly white or black pairs. UNTIL I SAW THESE! 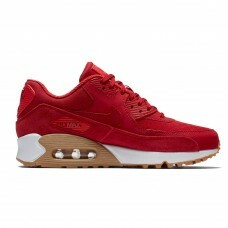 Nike Air Max 90 NS SE: And these! Tory Sport Ruffled Striped Low-Top Sneaker: I’ve been obsessing over Tory Burch’s ruffled sneakers since last spring (so cute, and feminine, and really, really fun! ), but now that they come with stripes, I can no longer resist. Keds Champion Originals: Something annoying about being petite is that, if a sneaker is too big and bulky, it really weighs me down. I look less chic and...all feet. That’s why each spring and summer, I end up purchasing a new pair of white keds. They’re simple, classic, and, best of all, a very “slim* shoe, which elongates my legs instead of cutting them off. Miu Miu Logo Strap Platform Sneaker: Do these silver, sparkly platforms *really* qualify as sneakers? I’m not entirely convinced—and therefore that makes them the perfect pair for me. 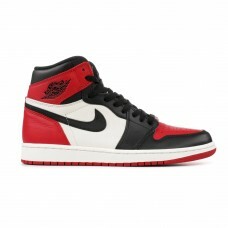 Air Jordan 1 Retro High OG Bred Toe: I have to shamefully admit that I do not yet own a pair of Jordans. Laughable for someone who is obsessed with sneakers. (But to be fair, I only became this way a few years ago.) 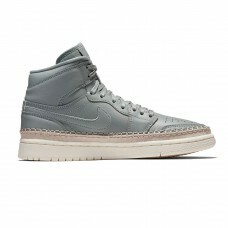 It’s time I pulled the trigger, and these classics are going to be my choice. How can I not? 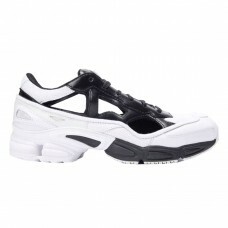 Adidas by Raf Simons Replicant Ozweego: I’ve been a fan of this silhouette for a minute now, but with this particular colorway, it was love at first sight. The cutouts make it the perfect summer sneaker. Asics GT-2000 6 Lite-Show: Ever since I spent the day styling Veneda Budny’s million pairs of Asics around her home, I’ve been playing with the idea of getting myself some. I never considered them for casual wear until I saw how she styled them. While I won’t quite be able to get to her level of effortless cool, I’ll do what I can.